The division was created following the 1990 redistribution. It was named after George Woodroffe Goyder, who led the South Australian survey group to carry out the major freehold surveys in what is now the division of Goyder. The 2015 redistribution saw Goyder gain Acacia Hills, Marrakai, Mount Bundy and surrounds from the division of Daly. Herbert moved to the division of Nelson. 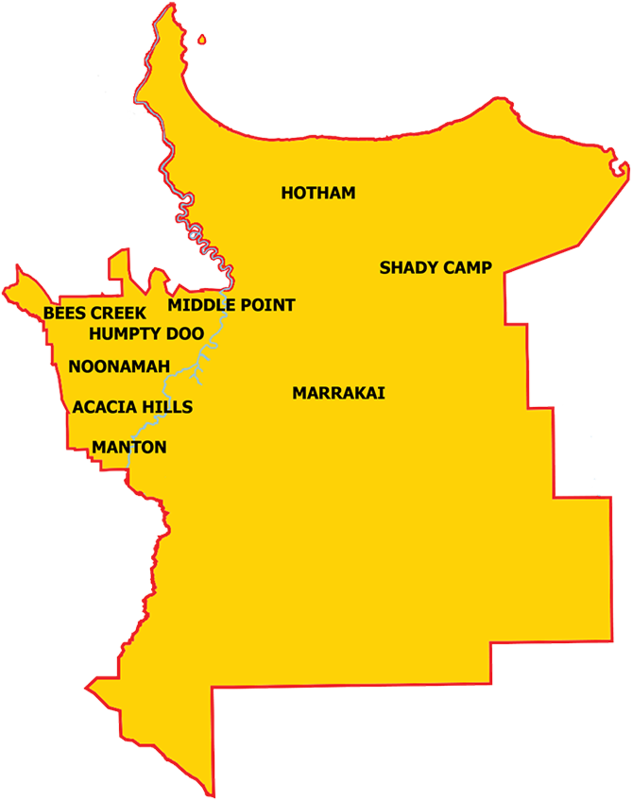 This division is situated in the rural area to the south of Darwin and includes the community of Humpty Doo, Acacia Hills, Bees Creek, Black Jungle, Freds Pass, Lambells Lagoon, Marrakai, Middle Point, Mount Bundy, Noonamah and Virginia.